But many writers have shown this to not only be an obvious alternative to traditional publishing, but a preferable one. There is money to be made, readers to be discovered, publicity to be garnered. All it takes is trying it. And yet, all over the world wide web, I see writers repeating and restating the same tired argument against self-pubbing: If you do it, you probably won't sell many books. What amazes me about this is it is coming from traditionally published authors who fail to see the irony of that statement. If you've been traditionally published, you have first-hand experience about how truly few books you can sell within the system. You also know the hard work, sacrifices, tireless promotion, and luck it took to sell in those paltry numbers. But Stockholm Syndrome reigns supreme in this business. Writers cannot wrap their minds around the fact (and it is a fact, not a hypothesis) that publishing houses aren't needed anymore. They make excuses for publishers, and call writers like me exceptions. While I've never said that self-pubbing is a guaranteed ticket to wealth, I've seen enough evidence to realize that writers can and will make more money self-pubbing than they will going the traditional route. You have just as much of a chance selling a book on Kindle as you do signing with one of the Big 6 and selling a book in a bookstore. And actually, according to my numbers, your chances are better on Kindle. Some writers have conducted their own experiments, putting up a single ebook, pricing it too high, and after a month have concluded there is no money to be made. That isn't following the formula. And there is a formula. The majority of those who succeed are publishing multiple titles at low prices with good covers, and it is taking several months, or even years, to find an audience. Until you've done that, you can't say self-pubbing doesn't work. All that doesn't work is your poor attempt at an experiment. But don't take my word for it. In the past few days, I've featured guest posts from self-published authors selling as well, or better, than I am. 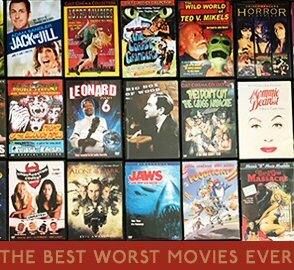 Today's post is from Aaron Patterson, who regularly smokes me on the Kindle bestseller lists. I believe eBooks are the future for publishers and authors alike. I find many in both camps are resistant to the idea; some are outright against it. I hope my story will shed more light on the subject and will inspire other authors and aspiring writers. I am 31 years old and worked in construction for eleven years. Reading has always been an addiction. Growing up, I was the stereotypical odd duck—home schooled, introverted and painfully shy. I was the kid who read two to three books a day, the kid who wanted to be a writer but never thought I had what it took. In 2008, I decided to try my hand at a novel. I sat down with no formal training, no writing experience or any idea what I was doing. I just had all these stories and I knew they had to get out. A month later, I finished my first book, Sweet Dreams. I set out to learn everything I could about the publishing industry. After a year of research, I almost gave up; the publishing world was a mess! I didn’t want to waste two years sending out query letters with little guarantee of success. So I decided to self publish and started my own company. To this day, I haven’t submitted a single query letter. I figured the best thing to do was start selling some books to see what the public thought of my writing. 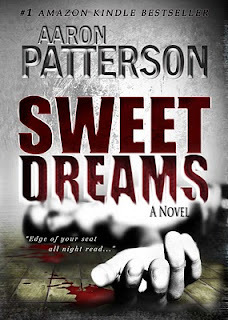 In December 2008, Sweet Dreams was officially published online and in print. I uploaded it as an eBook on Amazon, not really understanding the potential of such a market. The initial eBook price was $14.99; and I sold only 12 a month for 6 months. But, because I was a new writer, I believed building a fan base was more important than the bottom line, so I dropped the price to $4.99. That month I sold 48 eBooks. In the first month at its new price point, I sold 102 eBooks. Then, 340, 550, 700, 850, 900, 1000 and 1200. I eventually readjusted the prices of both my novels to $2.99. I expected my sales to drop, but my numbers went up instead: I sold 2600. In December, I sold 3200, and my sales continue to climb. I never really thought anyone would read my book, let alone publish it. But here I am, making a living as a full time writer and helping others do the same. My story is proof that you don’t need a big publisher to be a successful author. J.A. Konrath is not “an anomaly.” Anyone can do what we have done. By means of online marketing, blogs, Facebook and Twitter, we are able to reach out to fans. And because of eBooks, I’m building my own future. To you, the author: The power is now yours if you choose to take it. The question is, will you? Joe sez: Patterson did what all writers should be doing. He tried it for himself, then experimented over a long period of time in order to find the sweet spot that maximized sales. He also continues to innovate, and has rereleased Sweet Dreams as a double ebook, pairing it with The Remains by Vincent Zandri. That's a smart way to cross-pollinate fans, and also doubles Aaron's virtual shelf space, allowing him to be more easily discovered. So to all the naysayers who continue to beat the tired drum of traditional publishing, and continue to insist that self-pubbed author will sell in tiny numbers and never make any money, I say: try it. You may not hit a homerun. But many baseball players have long and lucrative careers hitting infield grounders over and over again, and over the years those stats accrue. If you write good books, with good covers, and release them at low prices, you WILL make more money and you WILL sell more books than you would selling traditionally. Ebooks are forever. Print books are not. Infinite will earn more than finite. Just be in it for the long haul, don't shy away from experimenting, and start now. Forever is a long time. But if you don't start until tomorrow, you lost the money and the head start you could have had today.